Today we went to a new playgroup! It's a lovely one that lasts all afternoon and is just a room full of toys for Ethan to play with and explore. It doesn't get too busy and there are a few children around the same age for Ethan to play with. It's interesting, because we don't purposely try to follow the gender stereotypes, but it just seems to have happened. We have cars and trains and lots of building toys at home, but no dolls. 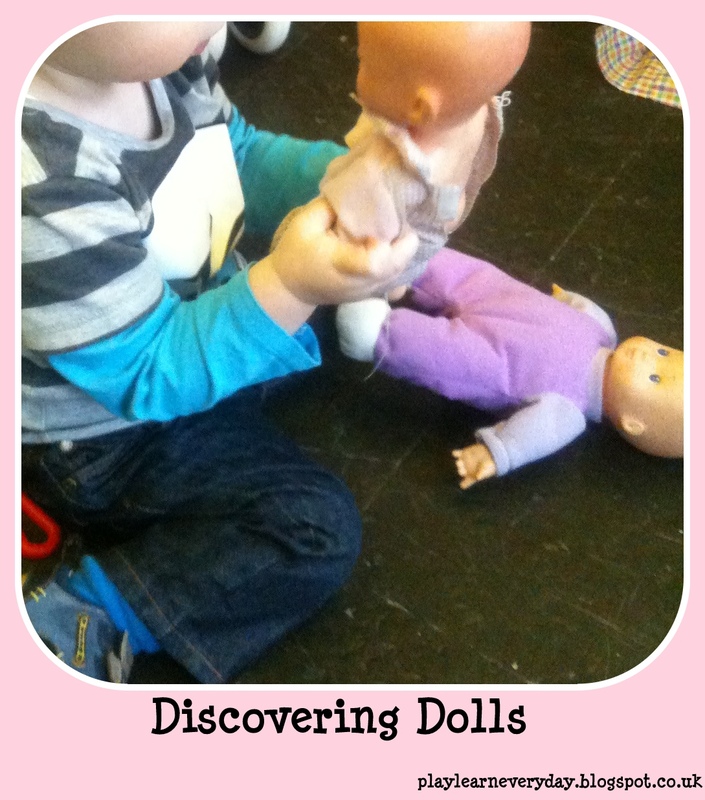 Today, Ethan discovered dolls. He was so interested in these little pretend people. He picked them up and examined their faces. He was automatically so gentle with them, as if he understood that they were babies. It was fascinating to watch how much he has obviously just picked up without being told. In general, play with dolls helps with Personal, Social and Emotional Development, and they can be a great tool for teaching a child to be gentle and caring. It is also great for his Knowledge and Understanding of the World as he explores different ways of playing. He was watching intently as a little girl then came over and put one of the dolls into the toy pram. It will be very interesting to see if he goes back to them next week.